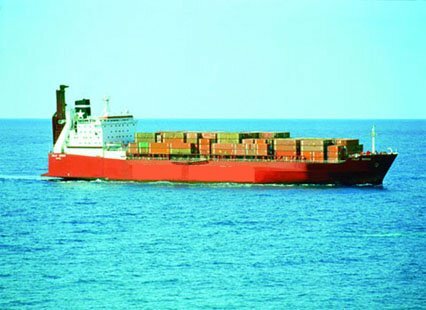 The Red Jolly, omonima of the ship been involved in the transport of the toxic refusals. 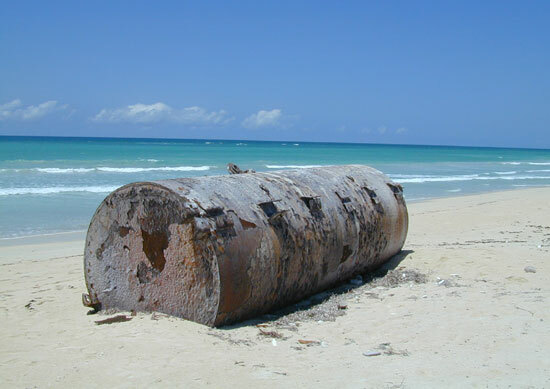 During the Somali civil war hazardous waste was dumped in this African nation by industrialized countries. The alleged perpetrators were Italian and Swiss firms who supposedly entered into a contract with the Somali government to dump waste in the war ravaged African nation. 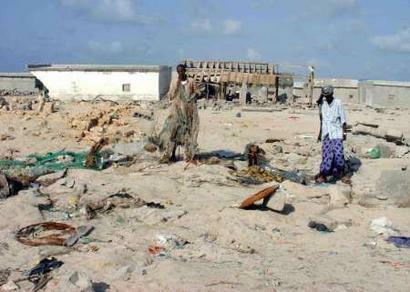 The issue of dumping in Somalia is two fold in that it is both a legal question and a moral question. First, is there a violation of international treaties in the export of hazardous waste to Somalia. Second, is it ethically questionable to negotiate a hazardous waste disposal contract with a country in the midst of a protracted civil war and with a government that can best be described as tenuous and factionalized? 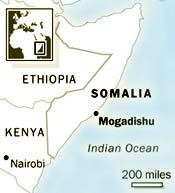 With the abdication of President Siad Barre in 1989, the country of Somalia was thrown in a state of anarchy. The country is currently ruled by a series of warlords each holding a small section of the country. The rival factions have been at war with each other since the mid-eighties and a mission by the United Nations to stabilize the country has now ended in apparent political failure. The war led to a serious famine that was solved by the intervention. 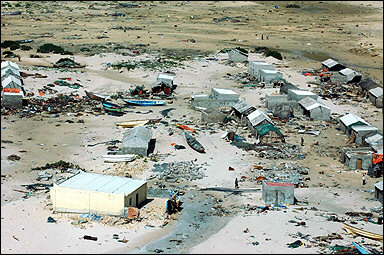 Less publicized was the exploitation of the Somalian crisis by firms who specialize in the disposal of hazardous waste. 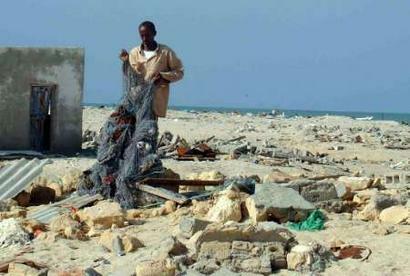 In the fall of 1992 reports began to appear in the international media concerning unnamed European firms that were illegally dumping waste in Somalia. By most reports, several thousand tons of waste, mostly processed industrial waste, had already been dumped there. 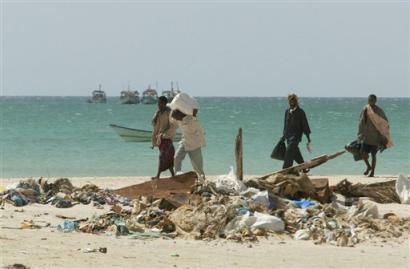 It was also reported that waste was seen being dumped off the Somali coast into the Indian Ocean. To further compound the country's environmental problems, a storage facility in northern Somalia filled with pesticides had been destroyed during the war. The spilt chemicals and resulting fire poisoned one of the few sources of drinking water in the famine ravaged country. What caused controversy in 1992, however, was reports of a contract established between a Swiss firm, Achair Partners, and an Italian firm, Progresso, with Nur Elmy Osman, who claimed to be the Somali Minister of Health under an interim government headed by Ali Mahdi Muhammad. 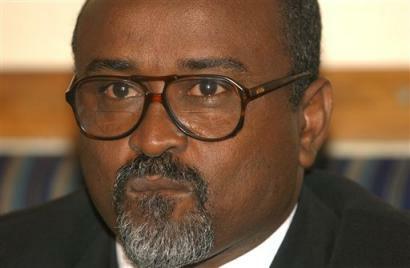 Osman had been a health official in the Barre government, but allegedly was no longer recognized as a government official by Ali Mahdi. Osman had supposedly entered into an $80 million contract in December of 1991, whereby the two firms would be allowed to build a 10 million ton storage facility for hazardous waste. The waste would first be burned in an incinerator to be built on the same site and then stored in the facility at the rate of 500,000 tons a year. Reports of the alleged contract outraged the world community. 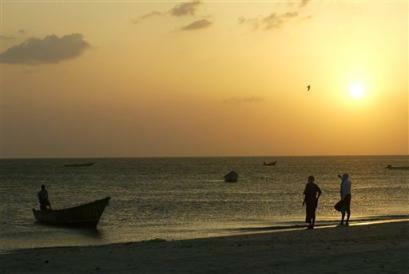 The United Nations Environment Programme (UNEP) investigated the matter at the urging of Somalia's neighbors and the Swiss and Italian governments. What ensued was a period of accusations as both firms denied entering into any agreement, Osman denied signing any contract and the Swiss and Italian governments said they had no knowledge of the two firms activities. As a result of the UNEP's investigation, the contract was declared null and the facility was never built. Still it became apparent to the UNEP's director Dr. Mustafa Tolba that the firms of Achair Partners and Progresso were set up specifically as fictitious companies by larger industrial firms to dispose of hazardous waste. At one point Dr. Tolba declared that the UNEP was dealing with a mafia. 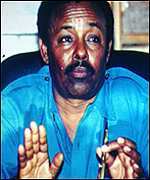 A DECEMBER 5, 1991 DEAL allowing the Swiss company Achair to annually export 500,000 tons of hospital and industrial waste to Somalia was scuttled in September when one of the contract’s signers was discredited by the self-declared Somalian presdient Ali Madhi Mohamed. The agreement, signed in Rome between Achair and a man claiming to be Somalia’s health minister, would have authorized the export of waste from Italy to a 10-million ton disposal site in Somalia over the next twenty years. The $80 million contract was signed by Nur Elmy Osman, who described himself to Achair executives as the state health minister in Ali Madhi Mohamed’s interim government. 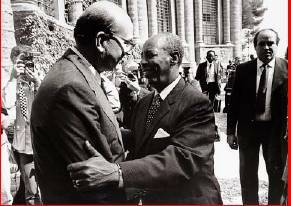 The deal was called off after the overthrown Somalian dictator Mohamed Siad Barre found out about the arrangement and brought it to the attention of Somalis in Kenya in an apparent attempt to discredit those who ousted him. Ali Madhi Mohamed, who controls only part of the Somalian capital of Mogadishu, says that Oman is no longer part of his "cabinet" and that he was given no authority to sign on to the toxic trade deal. Somalia, currently the focus of international attention due to widespread starvation resulting from famine and civil war, has been the victim of illegal toxic waste trafficking prior to the attempted Achair deal. According to the environmental organization Greenpeace Italy, the Italian waste broker Progresso, which served as an intermediary between Oman and Achair, had already dumped 22,000 gallons of pesticides and agrochemicals in northern Somalia, near the country’s border and the Red Sea state of Djibouti. Rome, 9 September 1992 ---- Greenpeace today revealed that the Italian company PROGRESSO s.r.l. is the waste trader behind the illegal trafficking of toxic waste to Somalia. Greenpeace said the agreement for the scandalous deal was signed in Rome, on 5 December 1991 , and authorizes the Swiss company ACHAIR and PARTNERS to annnually export 500,000 tonnes of hospital and industrial waste from Italy to Somalia over the next twenty years. The waste is to go to a 10 million ton disposal site. UNEP director Dr Mustafa Tolba this week publicised the deal, but was told the media that he was afraid to reveal any details of the company involved, describing the parties involved as "mafia". One of the founding members of ACHAIR, Pierre Andre RANDIN, has already been prosecuted for illegal trade in information technology to Eastern Europe between 1981 and 1982. Last spring he co-founded, together with Marcello GIANNONI, a company called "MANAWASTE", for waste exports to the Third World. GIANNONI now is a director of PROGRESSO. "This Somalian toxic waste export scandal underlines the failure of the 1989 Basel Convention to control waste trade, and the urgent need for a total ban on hazardous waste exports to developing and Eastern European countries" commented Greenpeace Italy's Roberto Ferrigno. The case also shows how Italian companies circumvent the prohibition of hazardous waste expor s from EC Member states to Somalia, as provided in the LOME IV Convention between the European Community and a group of 69 developping countries amongst which Somalia. Dr Tolba publicised the agreement this week after the Basel Convention Secretariat was notified of it. Under the terms of the Basel Convention it is perfectly legal to export hazardous waste from Switzerland to Somalia as long as both governments agree to do so. "We absolutely have to get to a total ban of all waste exports from all industrialized countries to the Third World and Eastern Europe" Ferrigno concluded. Una equipe formata dall'inviato del settimanale di Famiglia Cristiana, Luciano Scalettari, da uno degli ideatori del Premio Ilaria Alpi, Francesco Cavalli, dal deputato dei Verdi, Mauro Bulgarelli e l'operatore Alessandro Rocca, e' tornata dopo 7 anni sulla strada Garowee Bosaso. La strada cioe' dove passarono Ilaria Alpi e l' operatore Miran Hrovatin durante il loro ultimo viaggio in Somalia e dove effettuarono lunghe riprese prima di tornare a Mogadiscio dove persero la vita. Al chilometro 140, lungo la strada l'equipe ha rilevato con un magnetometro la presenza di metalli interrati, presumibilmente fusti contenenti rifiuti tossici, come ha raccontato un autista somalo che li aveva trasportati in quel posto. Di tutto questo, delle patologie riscontrate tra i pescatori dei villaggi della costa , dove sono stati trovati i bidoni con i veleni strappati ai fondali marini dall'onda dello Tsunami nel dicembre scorso, ma soprattutto dell'interesse che Ilaria aveva mostrato per questo traffico di rifiuti tra i paesi industrializzati e il corno d'Africa , trattera' lo speciale di Rainews, che cerchera' anche di ricostruire, attraverso documenti provenienti da inchieste giudiziarie, il contesto in cui avvennero quei traffici.